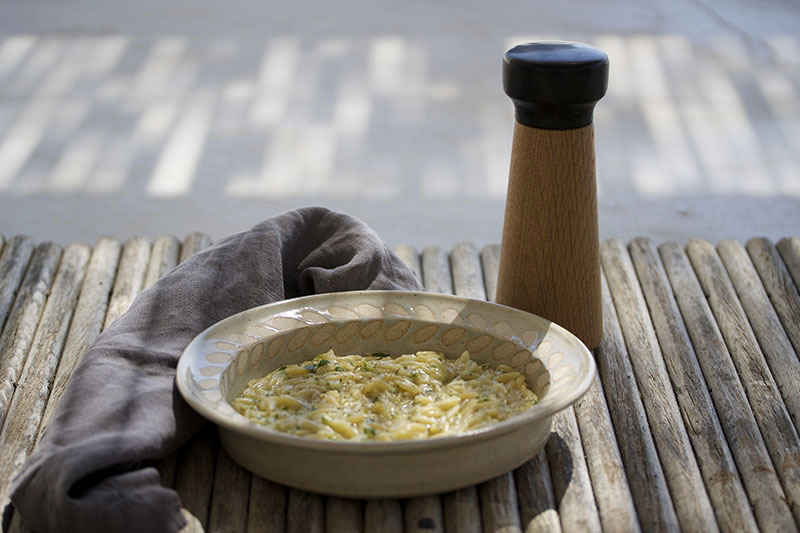 This orzo pasta recipe is the epitome of light comfort food. 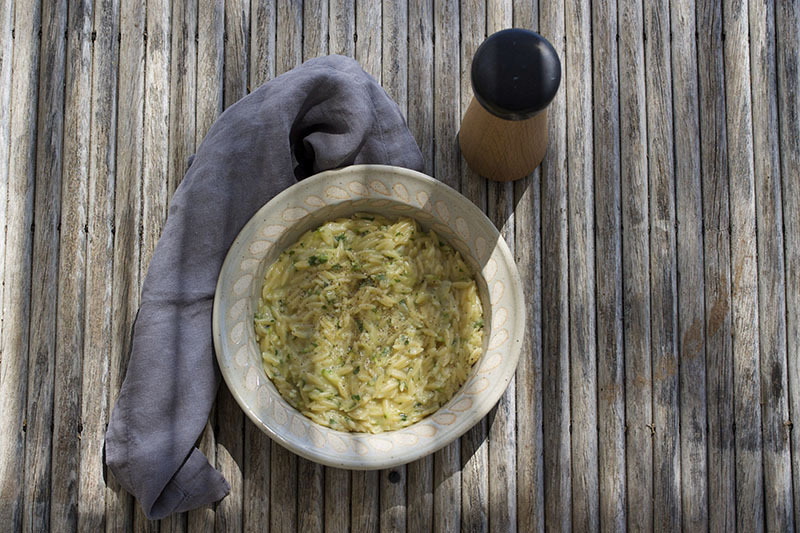 Creamy and soothing, the lemon zest blends with the courgettes and the garlic that creates a firm base. I use my homemade chicken stock that has a more condensed feel to it. 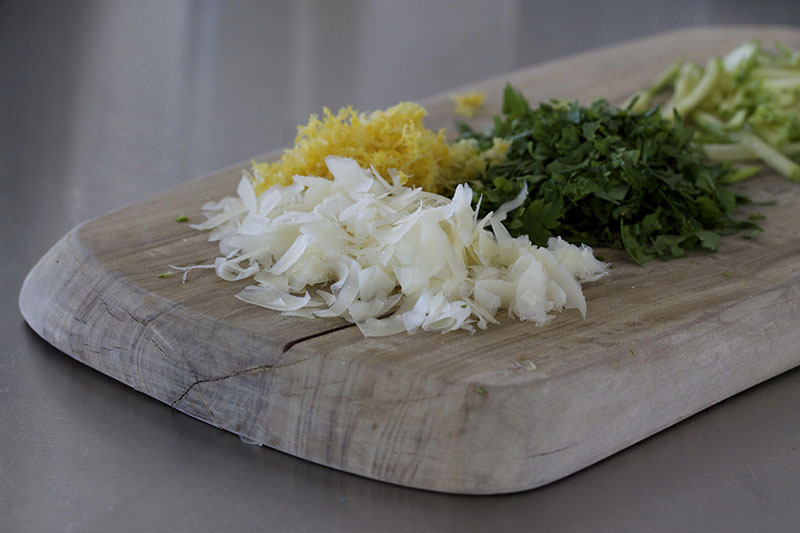 Add some fresh basil and mint leaves , or any fresh herbs you have in stock to bring out all their wonderful aromas. 1. Heat the olive oil and gently sauté the shallots until soft, pale, and gold. Add the garlic and cook for a few minutes more. 2. Add the courgettes and the stock. Bring to a boil. Add the orzo. 3. Increase the heat to medium and cook for 8 minutes. While cooking stir the mixture a couple of times to ensure the pasta does not stick (but try not to stir it too often). After about 8 to 10 minutes the stock should be nearly absorbed and the pasta should be soft, but still with a little firmness to it (not mushy). 4. Stir in the lemon zest, herbs and the Parmesan cheese. Taste and season. 5. 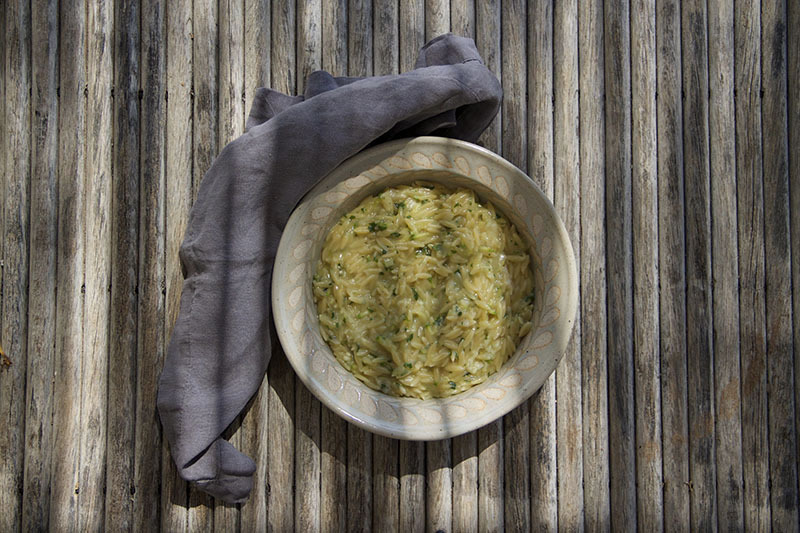 Eat promptly; the orzo gets sticky (just like risotto) if it is kept waiting.